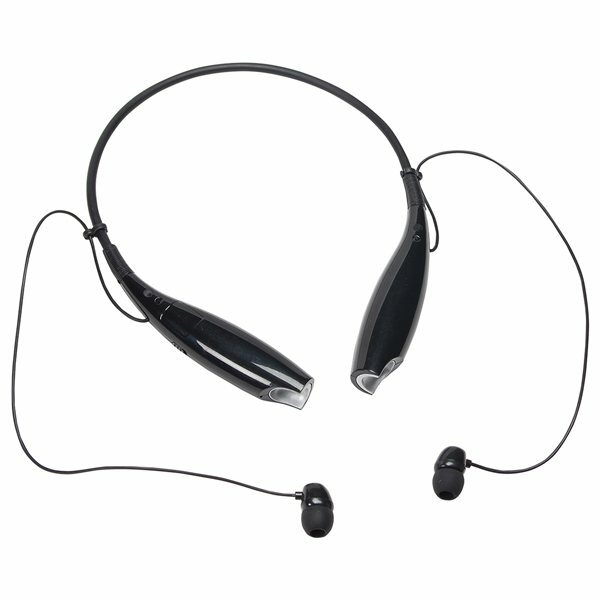 Extremely lightweight and flexible neckband. Earbuds magnetically attach to ends. 3-6 hour playtime /4 recharge time. samples were received promptly. Order was taken quickly and delivered on time. Thank you!! I think the design of the product and the printing of the logo are excellent. We used this item like a give-way to individuals who completed a subscription application to the Club. the overall product was quite nice this is the 2nd time we have ordered this item. Highly recommended! !